A fine natural gemstone is a fine gem, no matter where it was mined. That seems a reasonable proposition and many people would agree with it. But the gemstone market seems to think otherwise, since gems from certain locations command a premium price in the market. 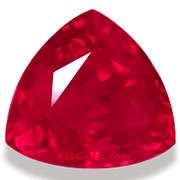 Rubies from Burma, for example, are worth substantially more than similar material from Africa, and the same is true for Ceylon sapphire, Colombian emerald and Russian demantoid garnet. When a gemstone is offered for sale, the origin is always provided, along with the other essential information about the gem. The origin is of such interest to buyers that some gemological laboratories have now begun to include statements of origin on their test reports, along with test results of treatments. But it is still fair to ask why origin is so important in the gemstone business. One might look for an analogy in the art world, where the identity of the artist is essential to valuing the work. It is natural to think that a beautiful painting is beautiful no matter who painted it. But for art historians this is actually not a point of contention. 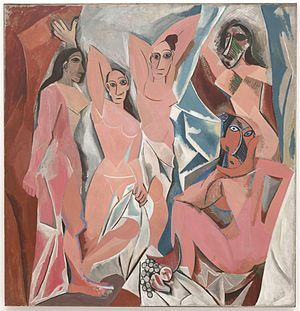 Understanding the importance of a painting such as Les Demoiselles d'Avignon requires knowing who painted it and when it was painted. When we know that the picture was painted by Pablo Picasso in 1907, we can understand how it overturned established conventions and was a first step towards a new pictorial idiom that reached its full force in the Cubist movement. If it emerged that the painting was actually done in 1960 by an aspiring art student, it would not constitute the same achievement. Rather than being a landmark in the history of painting, it would just be a derivative work of graphic design. However, this analogy is not easily applied to the gems world. A gemstone is an accidental product of nature, not a work of deliberate human invention and design. Mineralogists are interested in knowing that a particular specimen was formed in a specific geological environment, but we value gemstones for their color, clarity, brilliance and luster. While it is true that gemstones are fashioned by humans, the faceting and polishing is really a craft rather than an art, and in the case of many fine gems the actual gem cutter is unknown. Why then are Burmese rubies especially valued? The answer is that the finest Burmese rubies have a pure red color known as pigeon's blood red, and a distinctive fluorescence that is rarely found in rubies from other locations. The best specimens also have a velvety softness caused by very fine silk inclusions that scatter light and maximize the brilliance of even an indifferently cut stone. Of course not every Burmese ruby is fine. Some specimens are more pink than red, or heavily included. 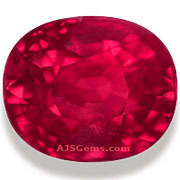 And some rubies from Madagascar, Tanzania and Mozambique are excellent gems. Burmese rubies have earned a reputation based on the fact that the best examples are the finest rubies in the world. But the information that a ruby is from Burma does not in and of itself provide any guarantee of quality. As gem dealers we would prefer an excellent African ruby over a mediocre Burmese stone. Buying gemstones based solely on origin would be a mistake. Nearly every gemstone mining location yields a small number of fine gems and a much larger number of second-rate and third-rate gems. 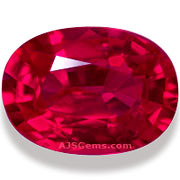 If you can find a top Burma ruby or Ceylon sapphire at a fair price, you would do well to buy it. But ignoring fine stones from other locations could mean missing out on very good values, since these gems may be attractively priced relative to comparable gems from more famous locations.